The Calculus of Saying I LOVE YOU! 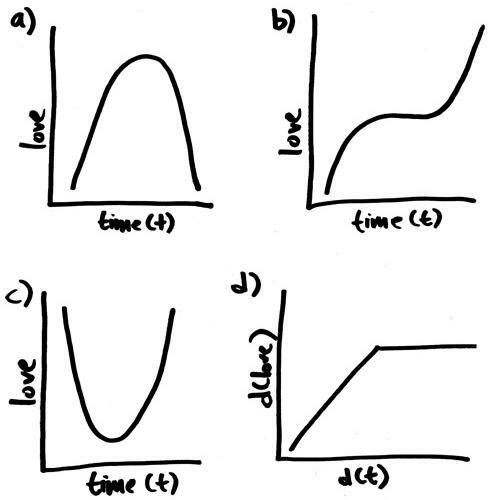 I found — when searching for something else — this page on the calculus of love. It’s actually really cute, and totally accurate mathematically. Both big plusses in my book. The article analyzing these graphs is here. Definitely something to check out if you’re teaching precalculus or calculus. Okay, it is 6:54 and I have to run to school for a 7:30 meeting! Yikes! Thanks for sharing this article. Too cute!